The first part of the book deals with the events of the 1930s in Palestine, as seen through the eyes of a boy who was born and grew up in the country. Arab pogroms against the Jews, and the British obstruction of immigration and the development of the Yishuv (the Jewish community in Palestine) impelled him at the age of 16 to join the Irgun Zvai Leumi (known as IZL or Irgun). 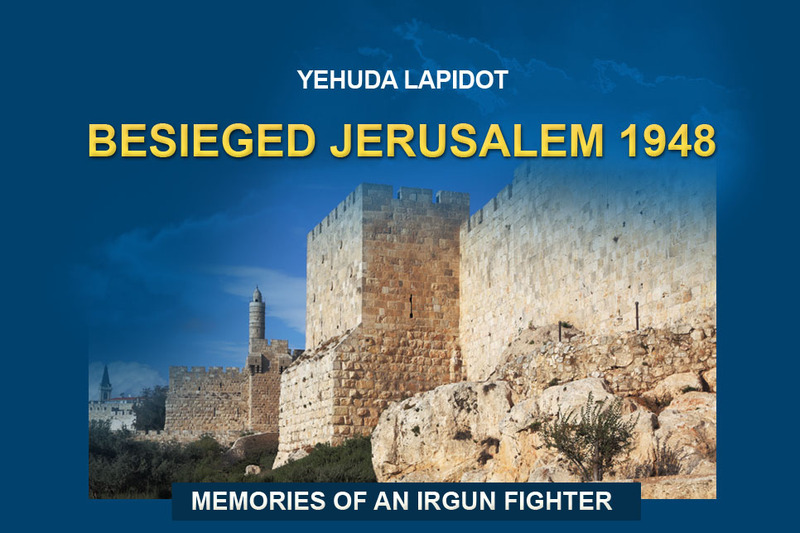 Lapidot describes his experiences in the Irgun, first as a new recruit and then as a fighter and commander in the Fighting Force. After protracted struggle against the Jewish underground, the British finally evacuated the country in 1948, leaving a scene of total chaos in their wake. They left Jerusalem, their last bastion, on May 14, 1948; the following day Arab armies invaded Palestine with the aim of liquidating the Yishuv and preventing the establishment of a Jewish state. The second part of the book deals with the battle for Jerusalem which was attacked by the Jordanian army from the north and the Egyptian army from the south.